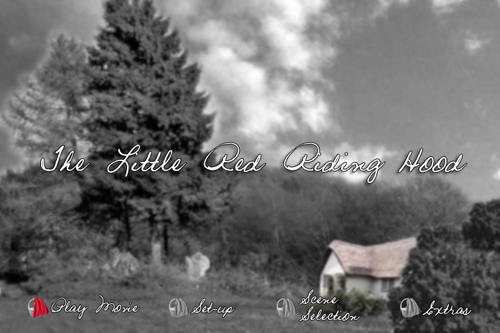 Little Red Riding Hood was an Art Direction Project in Term5 at Foudation VIsual Art & Design where the streams of Film, Animation and Interactive Media worked together to put together a style for a movie. I worked hard to come up with the styles along with my group and came up with a black and white idea, only enhancing important bits and pieces of the story with color. I did the main image which ended up as the look frame for the whole project. I used that same image to make the DVD interface which you can see in here. This entry was posted on Saturday, April 17th, 2004 at 9:10 am	and is filed under dvd interface, sketches. You can follow any responses to this entry through the RSS 2.0 feed. Both comments and pings are currently closed.